Spanish property prices have recently reported price growth after six years in the doldrums, suggesting the bottom of the market has been reached and rebound is on the way. Much of the transaction activity has taken place in the world-renowned millionaire's playground of Marbella, with wealthy overseas buyers snapping up the majority of prestige property bargains while they can. The new-build sector is beginning to re-emerge with strong demand from overseas buyers for off-plan sales on several developments in the Marbella area. The principal property type sought by ultra-wealthy foreign investors is three-bedroomed villas with an average asking price of €1.25m. A new report from international real estate firm Chestertons comments that: "Marbella is firmly back in vogue among high-net-worth individuals as a holiday and second home destination". 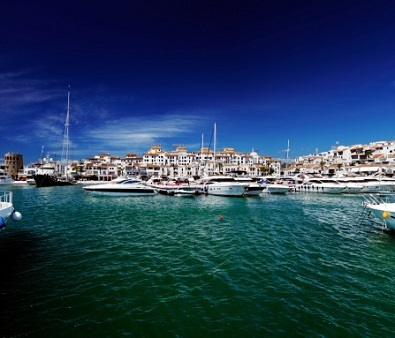 "Due to Marbella's appeal to foreign buyers, property prices have started to recover faster than in most parts of Spain, with Tinsa reporting growth of 4.8% in the last three months of 2013 followed by 4.9% uplift in prices in Q1 this year." "Last year saw developers breaking ground for the first time since 2008 and selling apartments off-plan. 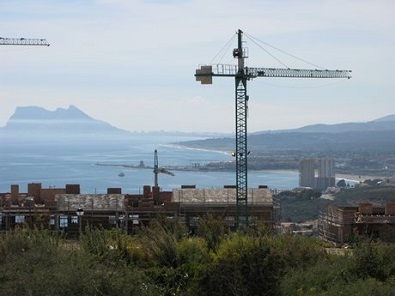 Taylor Wimpey Espana launched Los Arqueros beach in Marbella last summer and within three months of launching, 60% of the 164 unit development had sold off-plan, while their La Floresta de la Mairena development has also sold out." "Due to the re-emergence of high-quality developments in Marbella prices of new-build homes have started to increase and have been selling at a higher price than resale properties of a similar size and specification," says the report. "As a result substantial savings at the middle and lower end of the market have been, and still are available. For example, a 2-bedroom repossessed property valued at €650,000 was recently sold for €460,000 emphasising that genuinely good investments can be found." 2014 has seen increased foreign investment into its property market, particularly from non-EU buyers, attracted by the offer of residency visas for qualifying real estate purchases in Spain. However, British buyers are also returning to the Costa del Sol in their droves, accelerating price growth in popular tourist destinations. Robert Bartlett, CEO of Chestertons said, "We are now starting to see a returning confidence in the Spanish property market among British buyers who are drawn back by currently competitive property prices and strong sterling to euro exchange rate". 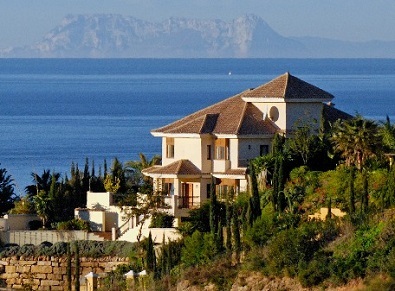 As Marbella continues to improve its infrastructure, demand for luxury property increases. September saw the opening of a new international school, the Colegio Bilingue Atalaya to the west of Marbella. The campus includes sports and cultural facilities and high-quality tuition for children aged 3 to 18 looking for a bilingual education. Marbella's fishing port is currently being transformed into a highly ambitious marina – La Bajadilla – on schedule for completion in 2015. The €400m development by the Nasir Bin Abdullah & Sons Consortium will include a 200-metre quay for cruise liners, a five-star hotel, bars, restaurants, shops and supermarkets and will revamp the eastern area of Marbella, bringing La Bajadilla in line with glamorous Puerto Banus, west of the city. The project has been referred to as the most important urban development in Marbella's history and has been accredited with boosting buyer interest amongst the world's wealthiest property investors.